The PlayStation 4 was released more than five years ago on November 2013. 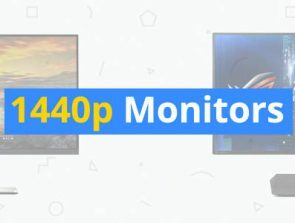 Despite its age, the PlayStation 4 still enjoys tremendous popularity because of the quality of the console, the development of amazing Sony-exclusive titles, and the release of the slightly-upgraded Slim and Pro versions. By default, the PlayStation 4 came with the updated DualShock 4 controller that has a built-in touchpad and redesigned light bar. Despite the favorable reception of the new DualShock 4 controllers, they are not the ideal controllers for all types of games or gamers. Gamers who are pre-disposed to playing fighting games, such as Tekken 5 or the just-released Mortal Kombat 11, crave for the sensation of mashing buttons on an arcade machine. This experience no longer needs to belong to the past, as you can now get a Fight Stick controller for your PlayStation 4. In this article, we review the best and most-popular Fight Sticks so you can relive your button-mashing childhood. What is a Fight Stick? Thanks to a slew of high-quality fighting games that were released for the PlayStation 4 in the last couple of years, Fight Stick controllers have started to become very popular. If you’re a fan of fighting games, then you’re probably familiar with the frustration of not being able to smoothly switch between buttons or the difficulty of having to press multiple buttons simultaneously. Simply put, there’s no way you can compete with high-level fighting game players with a standard DualShock controller. The objective of a Fight Stick is to simulate the feeling of playing fighting games in an old arcade machine, complete with joysticks and big round buttons. Fight Sticks allow you to more smoothly execute combos and are built to withstand more punishment than any handheld controller. The result is a markedly improved performance that will take your game to the next level. Modern Fight Stick controllers have a more sophisticated design than their appearances let on. 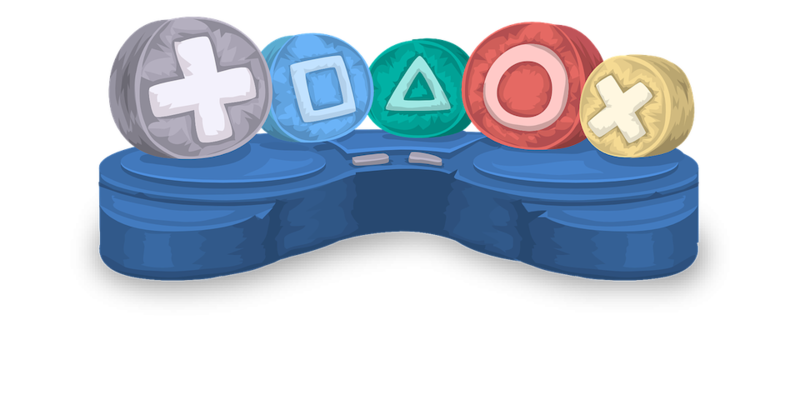 Not all of them are made equal – some are more durable than others, while others have more sensitive buttons and softer joysticks. To help you pick the best Fight Stick, we have curated a short list of the best and most popular Fight Sticks below. Kicks and punches will be flying around in no time once you have any of these Fight Sticks in your hands. The Mayflash 300 hits the perfect balance of affordability and quality, which makes it our top pick for the best Fight Stick available today. It has a wide, sturdy base that supports a joystick and eight buttons. A turbo functionality can be used to assign functions for multiple button presses, and buttons can be easily re-mapped. The MayFlash 300 was also designed to be easily modded, allowing you to replace stocks parts should you want an upgraded gaming experience. The low price of the MayFlash 300 means that you have the cash to spare for these upgrades, such as Sanwa buttons and joysticks. The relative simplicity of the MayFlash 300 makes it perfect for beginners, while it’s compatibility with modding options will be attractive to more experienced users. The MayFlash 300 is compatible with both the PlayStation and Xbox platforms. Probably the biggest drawback of using the MayFlash 300 is the fact that it needs to have a wired connection to your console’s standard controller for it to work. 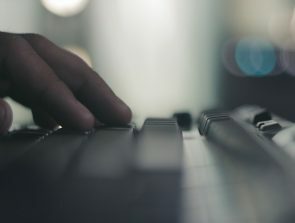 Although it’s possible to set the MayFlash 300 as an authorized controller for your console, it will still need to have a cable connection to your console’s USB port. 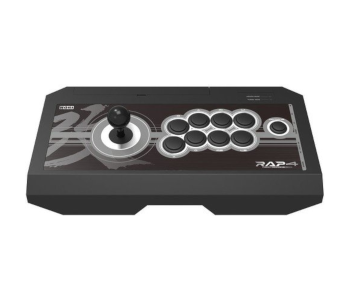 As its name implies, the Hori Fighting Stick Mini is the smallest Fight Stick controller in this list. It is also the cheapest, making it a very attractive option for beginners who are not quite eager to spend too much on a specialized controller. Despite its diminutive size, the Fighting Stick Mini comes with the high level of quality and responsiveness that Hori has been known for. It boasts of a microswitch-activated joystick and an arcade layout of eight buttons. It has sufficient room to rest your wrists but is small enough for easy storage and transportation. 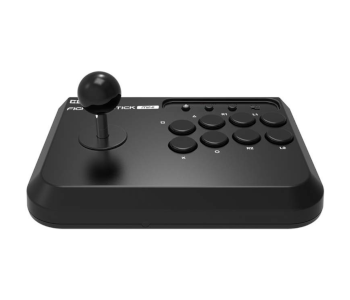 The Hori Fighting Stick Mini is only compatible with the PlayStation 4, PlayStation 3, and PC. 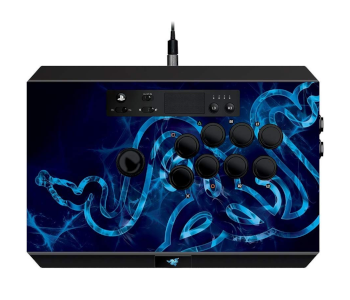 If you’re feeling confident enough to graduate to the higher tiers of fighting games, then you might be willing to invest in a more expensive Fight Stick such as the Razer Panthera. This premium model comes with full Sanwa components, making the buttons quicker, softer, and smoother. All ten buttons are fully customizable and perfectly complement the 8-way joystick. The Razer Panthera boasts of being tournament-grade, able to maintain peak performance and highly precise controls for a long time. Aside from the premium buttons and joystick, the Razer Panthera comes with other accessories and features that truly make it tournament-worthy. It has an internal storage compartment for your tools and other accessories so that everything you’ll ever need is available on-the-go. An extra-wide base lined with non-slip rubber pads keeps this controller stable even in the most action-packed conditions. A flick of a switch toggles Tournament Gaming Mode, which deactivates all the unnecessary buttons, so you’ll never lose a game due to wayward presses. The Razer Panthera may be one of the most expensive Fight Sticks available today, but it’s the kind of controller you need to get when the fights start to get serious. 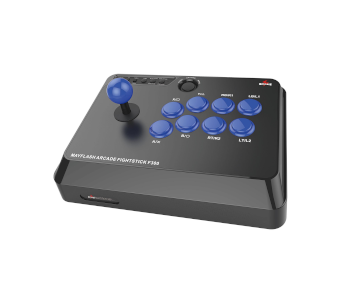 The Real Arcade Pro 4 Kai is one of the premium controllers from the super-popular Hori brand. True to the reputation of Hori, the Kai controller delivers a superior arcade gaming experience at a price that won’t break the bank. It’s not exactly cheap but is not so absurdly expensive even for competitive players. It’s also one of the more innovative Fight Sticks available today because of the use of the exclusive Hayabusa buttons and joystick. The joystick is lightning-quick and highly precise, while the buttons feature a matte finish and beveled edges, allowing your fingers to smoothly glide from one button to another. You will find that pulling off multi-button combos has never been easier if you decide to get a Real Arcade Pro controller. A sub panel located on the side of the controller allows for easy adjustment of Turbo settings and mapping of individual buttons. The Kai controller even has a fully-functional touchpad that mimics the touchpad of the DualShock 4 controller. If you have ever used a touchpad to enter text into the screen rather than a joystick, you will be glad for this addition. The Kai controller is even made for convenient portability with a large storage compartment and a carry handle. Mad Catz has released a lot of Fight Sticks over the years, but we are choosing this model because of its sick design. 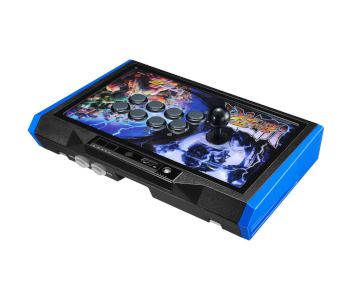 With a panel adorned with official Street Fighter IV artwork, the Tournament Edition Fight Stick from the Mad Catz is one of the coolest and most gorgeous Fight Sticks available today. This is probably also the reason why it became one of the fastest-selling Fight Sticks right after it was released. This Fight Stick isn’t all about looks, though. 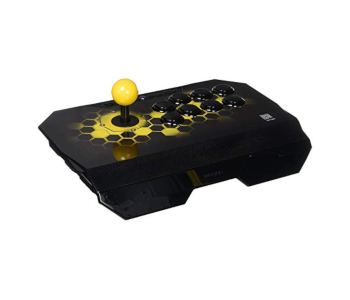 It’s made with Sanwa Denshi parts, providing extremely precise and responsive controls. Almost all parts of the controller are moddable, right down to the artwork of the panel. The chassis opens up if you want access to the inner components or to replace the stock buttons and joystick. The inner compartment also has storage for your cables, tools, and other accessories. For portability, the controller has metal loops for attaching a separately available shoulder strap. The Mad Catz Fight Stick has everything you could want out of a Fight Stick controller, and even more. It’s also quite expensive, so it appeals more to serious and experienced gamers. The Drone Fight Stick from Qanba has the perfect combination of portability and high-quality performance in a very affordable controller. It’s one of the most compact Fight Sticks we’ve seen, making it perfect for gamers who are constantly traveling. It has a locking functionality that deactivates all the unnecessary buttons for when you want to start serious gaming. 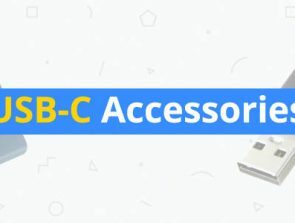 The joystick and buttons of the Drone are genuine in-house parts made by Qanba, which have been designed for maximum responsiveness and precision. By making their parts in-house, Qanba delivers tournament-grade quality at a cost that is a fraction of higher-end Sanwa parts. As with the Hori Fighting Stick Mini, the compact design of the Qanba Drone also means that the buttons might feel a little more crowded than you would prefer. Despite its modest price tag, the Qanba Drone has the unique claim to fame of being a Sony-certified controller. It also has unique yellow and black that is visually striking, belying its affordability. Within its compact package, the Qanba Drone still has space in its front-opening pocket to store a USB cable and other small tools and accessories. The Qanba Drone is another excellent choice for gamers who want to dip their toes into the competitive fighting game pool. 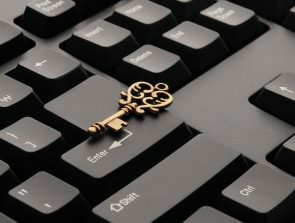 It’s one of the most portable and affordable options, yet still performs smoothly and responsively. If you’ve ever lost a match in a fighting game simply because you can’t press three buttons with a single thumb, then you should be able to imagine how much better you can play with a Fight Stick. With their bigger buttons and full-sized joysticks, pulling off combos will be easier than ever with Fight Sticks. The Fight Sticks available today are far superior to the ones you played in the arcade when you are a kid. These modern models make full use of modern technology with highly responsive and fast-actuating buttons and extremely precise joysticks. High-quality Fight Sticks, such as the one we have featured on this article, also come with various modding capabilities, allowing you to assign various Turbo functions and to re-map the buttons according to your gameplay style. The modern Fight Stick is just one proof of why we are now living in the golden age of gaming.